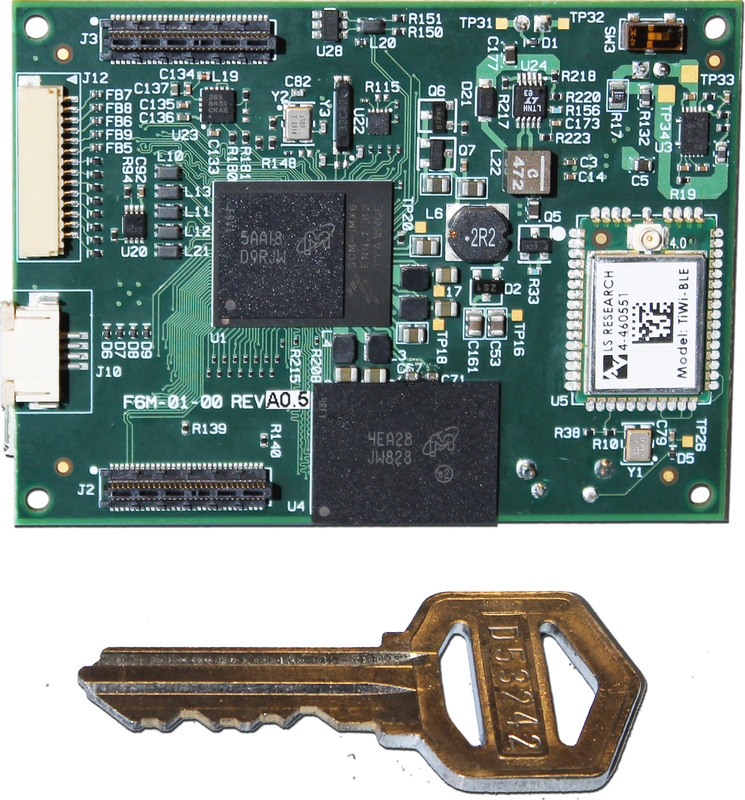 Based on the NXP™ i.MX 6 quad or dual processor single chip module (SCM), InHand created the ultra-compact Fury-M6™ single board computer (SBC). The Fury-M6 offers an on-board LCD interface, resistive touchscreen interface, Wi-Fi, Bluetooth BLE, eMMC flash memory, battery management/charging, and sensor connection without the need for an additional carrier or daughter card. All this functionality is provided within a compact 2.75” x 2.0” circuit board outline. Additional peripheral interfaces are available via stacking connectors intended for connection to custom daughter cards. The Fury-M6, with its tiny size and powerful i.MX 6 processor, is ideal for extreme space constrained applications that require local processing power, complex operating systems, or high performance graphics. Its wireless capabilities enable Internet of Things (IoT) applications while its graphics/display features allow for portable human interaction. The SCM’s quad core Cortex-A9 provides up to 10,000 DMIPS of computational power while the GPU can be utilized for graphics rendering or general purpose computing via OpenCL libraries. This local computational capability allows for complex data analysis and decision making without the need for high latency and costly data uploads to a central server. Example applications include: Portable medical diagnostics, autonomous vehicle/UAV control, portable cameras with image analysis, industrial sensors with data analytics, robotics. InHand provides Linux, Android, and VxWorks (RTOS) BSPs for the Fury-M6. The Fury-M6 development platform is available that includes the Fury-M6, display with touchscreen, BSP source code, and engineering support, and provides an quick and easy starting point for Fury-based designs. For customers with specific product requirements, InHand’s engineering services can modify the Fury-M6 or create custom solution daughter cards for the Fury-M6 to meet specifications.